In rural and mountainous areas, UAS are typically used for reconnaissance of areas that can’t be reached by road (or road is blocked) or rural areas where manned assets are not in use, assessment of where the water is and how fast it is flowing, determining transportation routes, and overwatch of swift water rescue, What makes rural and mountainous areas different is the lack of access (less roads, open spots), trees, and the difficult terrain. A strategy is to fly UAS along the centerline of the roads. The UAS can get a quick assessment as houses, shops, buildings tend to be near roads. Unlike just driving by in a ground vehicle (which be useful, see the GroundVu system), it can be very useful to be able to see behind the houses, where there could be damage or signs that people were still there. 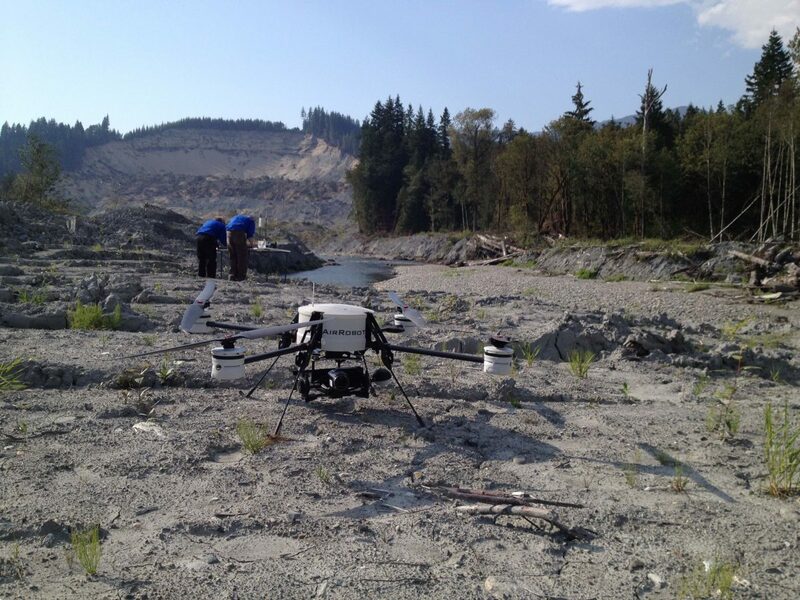 Along the way, the UAS can check the state of roads to remote areas, like has it washed away. Plus flying the centerline avoids unexpected tall trees and power lines which seem to come out of nowhere!